Summer is Here, Now What To Do? The school year ends and hopefully you have an idea of what to do over the summer with the family. Kids are done with school and are ready to do something other than hanging out at the house. How about a summer road trip? Now that sounds like a lot of fun. This is a great time for the family to be together, sing some songs, play some car games and much more. We have done it many times and some of the fondest memories that we have as a family was in the car laughing about something silly that someone did. To this day we talk about those times and that best summer road trip. We have some ideas for your road trip that may make it a bit better. These idea's have worked for us and maybe some of them can work for you also. 1. Give your vehicle some love. First things first. For safety’s sake, before you leave town do some basic preventative maintenance checks. Please don't forget about your car. Take it in and give it the once over, best money you will spend, you don't want a break down on your summer family road trip. Prior to your trip, take your car into Tranco for that check out that you need before hitting the road. 2. Decide on the sites you really want to visit. Don’t cram too many hours of driving into your days. Allow for time for spontaneous exploration & lingering without feeling rushed. Decide when you are home which destinations you are going to visit. There is always time for that spontaneity but have a plan. 3. Tell someone where you’re going. Sending a message to a friend of family member at home on where you plan to end up each day. 4. Bring an extra key to your car. There are few things worse than being stranded or locked out of your vehicle. Don’t let it happen to you! Give the extra set of keys to your spouse or significant other to put in her purse, that way you have a set just in case you lock or lose the main set. 5. Make it about the journey. 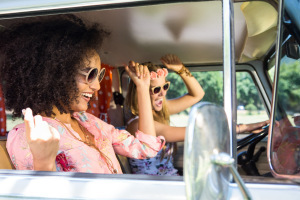 Play car games, make a road trip music playlist, be creative… your trip is all about fun! There is so much you can do in a car, what about singing some songs, playing car games. There is a lot to do if you let your imagination run a bit wild. 6. Discover a city’s hidden gems by talking to locals. They’ll often point out some local color or a restaurant that might be missing from your “city attractions” brochures. If you get a chance, talk to the locals and ask them what they think would be fun to do in their town. They know what is going on in and around their area. Take some local pics, you will remember these things forever and now you have an image to keep for that memory. 7. Avoid time killing traffic spots. Don’t be in the wrong place at the wrong time. Try to plan on where you are going to be. Don't get caught in traffic in a big town during rush hour. Just a little bit of planning can go a long way. You can have a lot of fun on your summer road trip with just a bit of planning. Using some of these tips can really help. 8. Leave room to bring something back with you. Sometimes it’s a framed painting or it could be 4 bushels of fresh peaches. Make sure you have room for some goodies that you may find on the trip. 9. Pack some snacks & a small cooler. Being prepared and avoid a car full of cranky people. You may often be driving for an hour or more without seeing a convenience store. Have a small cooler and snacks in the car, that way you don't have to stop all the time when someone is hungry or thirsty. You can just keep some drinks and chips, can go a long way. Many of us rely on GPS or apps like WAZE to get us from Point A to Point B. Wow, the old way of traveling. Remember they still sell maps. What happens if something happens to your GPS? Now what? Keep the map for the just in case situations. Plus the kids might like to see where you are going and where you have been and can do this with the map. 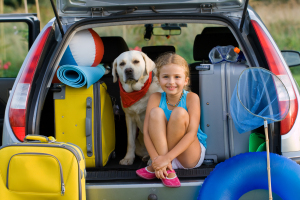 Making a summer road trip a great summer road trip can be done with just a bit of planning. Using some of these road trip tips can go a long way. I know that our family have had more fun taking our summer road trips, which just brought the family closer together. People talking to each other, joking, singing songs, playing games. One other tip that I would like to share is being glued to the smart phone is a no no. Now i understand the younger generation is all about these items, but during the trip limit the amount of time that the smartphones can be used. I know that the kids would love sharing pics of the trip on Facebook and twitter, I get that, but you just can't live with your face buried in your phone. Fond memories is all that we have from our trips as a family going across this great country of the United states. This is a great country to see and experience and you should have that time with your family. Try the road trip tips above as a guide to planning your trip. It just might spur some other idea's that you might not have thought of. Give it a try. Call Tranco for any of your automotive needs, right here in Albuquerque NM.